Metrobus 99 travels between Kuala Lumpur and Kota Damansara. Ada tak bas menuju ke The Curve dari Kepong Sentral ? Or menuju ke One Utama ? When the first bus start? when the last bus time? Ada tak bus dari ktm sungai buloh ke seksyen 6 kota damansara? The only way to Section 6, Kota Damansara is to use RapidKL U88/Metrobus 99 from KL Sentral, and other related LRT station. Hi, can i know what bus that go to 3 Two Square? Metrobus 99? 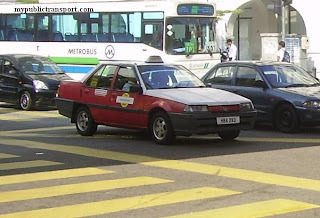 Sir, last Metrobus 99 dari Mid Valley untuk ke Kota Damansara pukul berapa? macam mana nak pergi jalan ss22/19 dari lrt taman bahagia? dari 1 utama ke jalan cecawi 6, metrobus no berapa ye? dan last metrobus pukul berapa dari 1 utama..? You can use MEtrobus 99 or RapidKL U88. Last bus around 11pm. nak tnya, boleh suggest kan sy bas pergi balik dari seksyen 8 kota damansara - one utama? berapa kali bas ada untuk satu jam? You can use RapidKL U88/ Metrobus 99, both of them got lots of buses so you can expect them to come in 15 minutes. hi, please advise how long (roughly) it takes from KL Sentral to IKEA? It is about 45 minutes if no jam. If during taffic jam, you may need up to 2 hours. No berapa bus metrobus dari metro prima,kepong ke maju junction,kl... pagi pukul berapa bas tiba di bustop jusco metro prima kepong? Sebab saya punch card kerja pukul 8. Hi, you can use RapidKL U4,U8,U11,U13,Metrobus 50, 55, 100,101 to Maju Junction. You better wait bus starts from 6.30am to reach on time. Dari pelangi damansara ke jln teknologi ada bus? Will it go into Jalan Teknologi or will it just stop outside at Persiaran Surian? It will not go in. You can stop near Persiaran Surian and walk in. Hi, you can take Metrobus 99.
may i know how frequent U72 will passby shell at tmn desa to midvalley? 30minutes once or? may i know how to go digital mall pj from sunway pyramid? Hi, you can take RapidKL U63, U67 or Metrobus 10, 13 to Federal Highway near Asia Jaya, then walk to Digital Mall. If choose not to walk, can take U88 to Digital Mall. 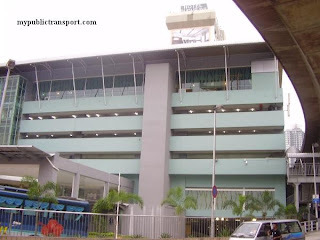 Are there any buses that stop near PJ Trade Centre from lrt kelana jaya ? if yes how long would it takes? 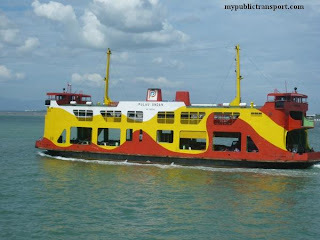 If no, whats the best way to get to Menara Mustapha Kamal. Thank you for your help ! Hi, you can take RapidkL U89 from Kelana Jaya LRT to 1Utama, then take U86 to PJ Trade Centre or Menara Mustapha Kamal. If you are not from Kelana Jaya, I suggest you to go to 1Utama using U88 or Metrobus 99. I'm actually from bangi, and I was wondering if there's an express bus that goes directly to damansara. Hi, which part of Damansara you heading to? hi what bus should i take from kl central to the curve/ikea?? and where is the bus waiting area at the kl central? Hi, you can go to Petron Petrol Station near KL Sentral and take RapidKL U88 or Metrobus 99 to Curve/Ikea, that is the location of taking bus towards PJ direction. Hi, you can take KTM from Bangi to Kepong Sentral, then go to Persiaran Kuala Selangor and take RapidkL U86 to Menara Mustapha Kamal. hi, please advise how long (roughly) it takes from LRT asia jaya to the curve? ?And which bus i can take?? What bus should i take from One Utama Shopping Mall to the Encorp Strand Mall, Kota Damansara. Hi, you can take RapidKL U88 or Metrobus 99 to Encorp Strand Mall. From KL Sentral, you can take U83 to MATRADE. Which bus should i take from ss2 to go to jaya 33 / digital mall and where should i wait for the bus ? Hi, you can take RapidkL U88 or Metrobus 99 from SS2 to Jaya 33. You can take it near SS2 Poh Kong. Hi, if I want to go to Sunway Technology Park from KL Sentral, what is the fastest way to get there during traffic jam? 1. KL Sentral > Kelana Jaya > Persiaran Surian (by LRT and Bus89)? 2. 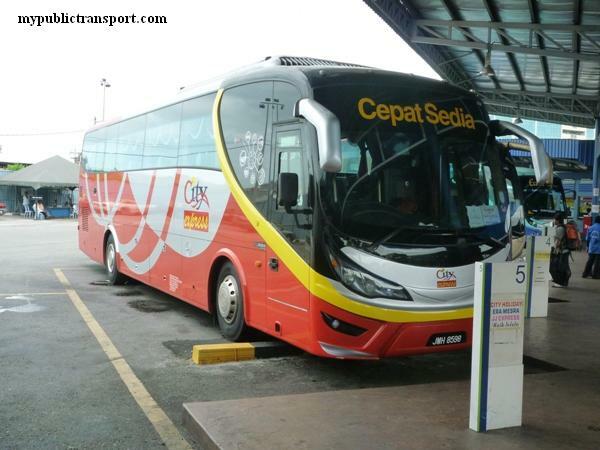 KL Sentral > Persiaran Surian by bus U88/Metrobus 99? Hi, both way are about similar. Izit have the bus take from Asia Jaya LRT go back to Jalan Camar 4/5? Hi, you can take RapidKL U88 or Metrobus 99 from Jalan Utara. the U88 / Metro99 will stop at jalan camar4/5 also? If I want to go from digital mall to Asia jaya, do we need to pass through kl?? Hi, it is within walking distance only. Is there any bus available from Boulevard Residence/ 10 Boulevard to Menara LGB? Even though there is bus between the two places, I suggest you to take taxi because you will need to take 2 buses but they are within walking distance for about 2km. Where should i wait for metro 99 from PPUM to One Utama? Is there any metro bus to Bangsar Village? 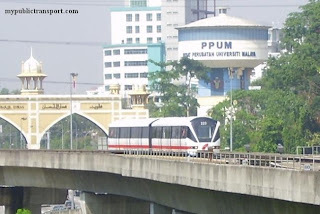 Hi, from PPUM, you can cross the Federal Highway to opposite direction and take Metrobus 99 or RapidKL U88 to 1Utama. There is no Metrobus to Bangsar Village, but you can take RapidKL U87 from KL Sentral, Mid Valley, or Bangsar LRT station to Bangsar Village. 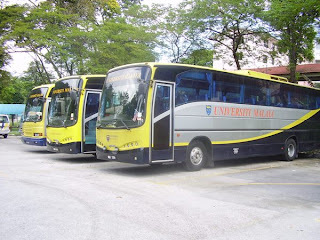 Which bus should I take to go to P1, Jalan Templer from station LRT university? What time the bus will be operating? Hi, you can take RapidKL U84. The bus starts from 6.00am to 11.00pm with frequency of 30-40 minutes. Hi. How long roughly it takes to go to Pasar Seni from Kota Damansara ? And how much it costs ? It takes about 1 hour 30 minutes and the fares is Rm3. 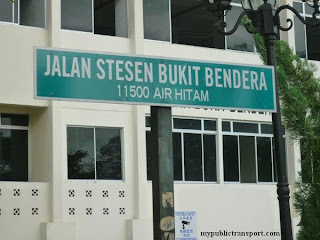 Hi, you can just walk to Persiaran Surian to take the bus. Is there any bus available from kl sentral to 10 Boulevard? Hi, you can take RapidkL U88 or Metrobus 99 to Damansara Uptown and walk to 10 Boulevard. Hi, you can take RapidkL U80 to Universiti LRT station, then take RapidkL U88 or Metrobus 99 to The Strand. how to go 1utama from taman bahagia or ss2? Hi, from SS2, you can take RapidKL 780. Hi, you can take RapidKL 780 from LRT Universiti and stop at Persiaran Surian. The journey is about 1 hour and you need 15 minutes to walk. 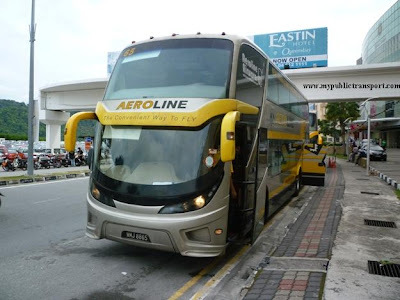 What bus should i take from Symphony Pj to lrt kelana jaya? And lrt kelana jaya to Symphony. 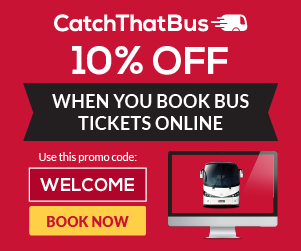 How frequency is the bus and how long is the journey? 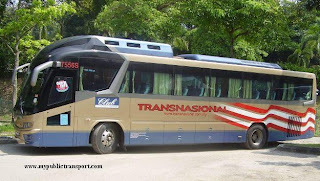 Hi, you can take Rapid T782, about every 30 minutes, and about 30 minutes journey. hi is there any bus that goes to 10 boulevard? Hi, you need to walk from 1Utama. 780, 800, 801,802 all go to 1Utama. Hi, you can take 301 from Jalan Kuari to Taman Midah Bus Hub, then take 400, 401, 450 to Lebuh Pudu, then you can take 600,601,602,603,604,650, 670, 822, from Pasar Seni to Mid Valley. hi, what bus should i take from pasar seni to one utama? or to ikano? what is the approximately time taken? is there bus at 8-9am? Hi, you can take RapidKL 780, it is about 1 hour, and the bus available every 15 minutes. Any bus i can take to dataran sunway( near sunway giza mall)from mid valley and how long is the duration? 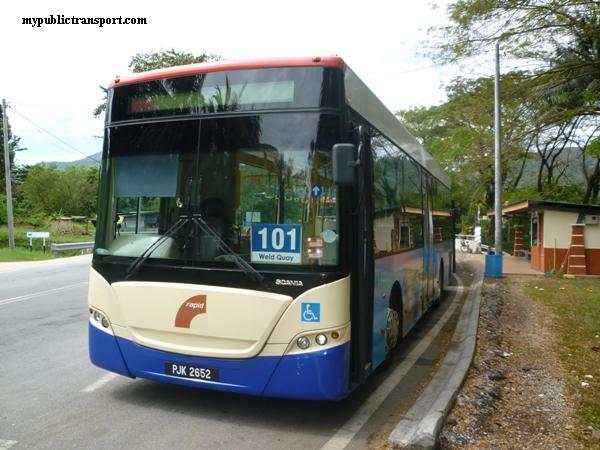 Hi, you can take RapidKL T788 or T790 to Universiti LRT Station, then take 780 to Dataran Sunway. 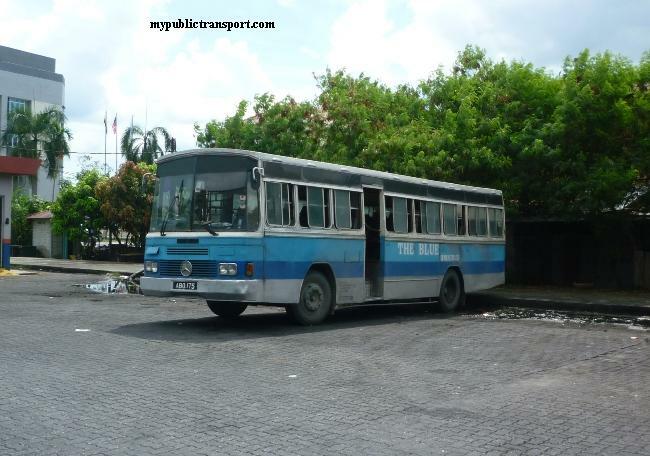 HI is there any bus or what is the route to 10 boulevard. Hi, you can take LRT from Pasar Seni to Taman Bahagia, then taek T783 to Damansara Jaya and walk to 10 Boulevard. 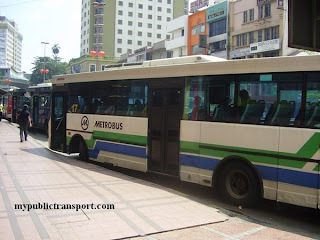 Hi ,how to took rapid bus from kepong baru to Solaris Mont Kira or publika? 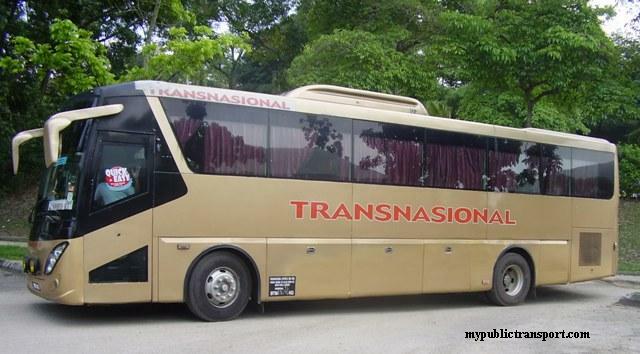 Hi, you can take SJ Bus 152 from Kepong Baru to Titiwangsa, then take RapidKL 852 to Solaris Mont Kiara. 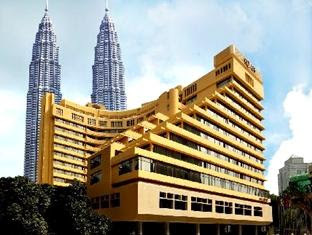 Hi there, would like to find out how to get to 10 boulevard, pj from KL sentral using public transport? Hi, you can take RpaidKL 780 or 800 to Damansara Uptown and walk there. 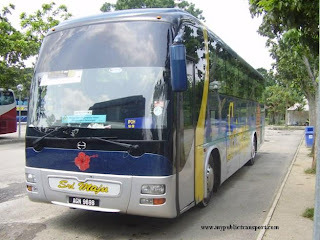 How to go to Taman desa by bus from Empire City LDP? Hi, you can take 780 from Bukit Lanjan bus stop to KL Sentral, then take 650 to Taman Desa. 1. Take RapidKL 780 to LDP near 1Utama, then walk to 1Utama Bus Terminal, and then take 801 to Empire Damansara. 2. Take LRT to Lembah Subang, then take T807 to Surian MRT Station. Then you can take MRT to Mutiara Damansara Station. Last, take T810 to Empire Damansara. Hi, is there any bus can i take from Pasar Seni to Kota Damansara Community Forest Reserve in section 10 (or the nearest stop)? Hi, you can take RapidKL 780 to Jalan Nuri 7 and walk to the Forest reserve. Hi, you can walk to Jalan Utara and take 700, 701, 710, 751, 770, or 771 to Mid Valley.